Whether you’re becoming a first-time parent or having you fourth child, there’s so much to do before a new family member arrives. Between setting up the nursery, folding tiny outfits, and making sure that hospital paperwork is in order, feeling overwhelmed can be an understatement. While some baby purchases can’t be classified as essentials, bassinets are an item that can save a parent’s sanity. If you would prefer to have your baby sleep in a smaller area than a crib, bassinets offer a variety of benefits. We researched small foldable bassinets, fully loaded bassinets, and bassinets designed exclusively for the co-sleeping family. We focused on safety, added features, portability, and value. With the right bassinet, you and your baby can rest easy. Read more about our methodology. This bassinet is simple in design but has everything you need to ensure your baby gets a safe night’s sleep. It’s designed to attach to the parents’ bed and sits on wheels, making it easy to move into around the home, even with baby inside. For parents looking for a simple bassinet to get them through those first crucial months, the Chicco LullaGo is an excellent option. It can be folded and easily stored when not in use and sets up quickly when baby is ready. It also includes removable toys to keep baby occupied when they’re not sleeping. The Delta Sweet Beginnings Bassinet is ideal for newborns because of its portability and calming features. It’s the perfect sleeping space for your new bundle of joy. It’s designed for newborns and only accommodates babies up to 15 pounds. Its affordable price makes it an ideal bassinet for the first few months of sleep. 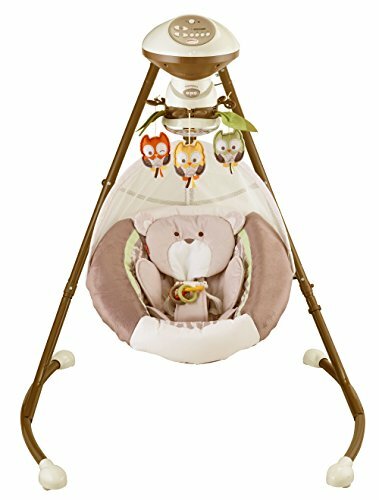 This affordable bassinet has an adorable design and plenty of smart features that will come in handy. Because it holds babies up to 25 pounds, you can expect to get plenty of use out of it. When your arms get tired, a motorized bassinet can save the day (or night). The Graco Dream Suite is a motorized bassinet that doubles as a changer, saving space and increasing its value. It’s the perfect bassinet for babies sleeping in their parents’ room. Let this bassinet rock your baby to sleep for you. Its calming sway can help soothe baby and allow you to catch a bit more sleep. It also features a removable light projection unit and soft music. Are you and baby on the move frequently? Then this portable bassinet is an ideal choice. It can be folded up in a matter of seconds and ready to take with you on your next adventure, whether that’s in the living room or halfway across the country. If you’re looking for a basic and simple portable bassinet, this is it. 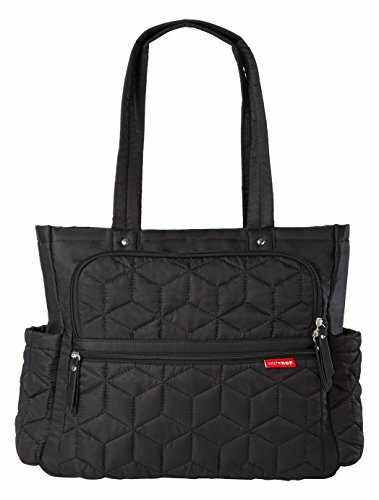 It’s ideal for taking baby with you outdoors or for a trip to the grandparents. Even though it looks delicate, the locking frame will provide you with peace of mind. If you enjoy co-sleeping, a bassinet that keeps baby safe is a must. 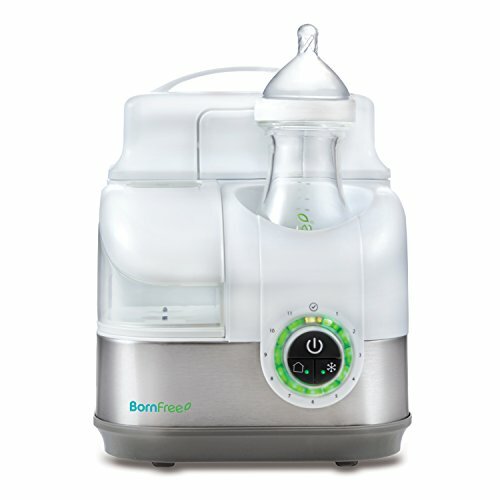 This model comes with an attachment strap and resistant plate, giving you peace of mind as your baby sleeps next to you. It can hold babies until just over 20 pounds. The Halo Swivel Sleeper is one of the most popular bassinets on the market and it’s easy to see why. It rotates 360 degrees, making it simple for mothers to get in and out of bed while still keeping their baby close. The side wall lowers but can also be locked into position for safety. Buying a bassinet isn’t just about finding one that fits into your nursery décor. There are plenty of factors you should keep in mind throughout your search. Here are the main considerations to keep in mind when shopping for a bassinet. Safety should be your number one concern when choosing a bassinet. There are federal standards that all newly manufactured bassinets must meet but always make sure that your chosen model is stable, durable and safe. Check the mattress, making sure that it’s firm and doesn’t sag anywhere. Check the sides of the bassinet. Look for spots with extra padding that the baby’s face could press against. Make sure that any slots on the side are close enough together to prevent a baby from getting stuck and look for areas where clothing can catch. Bassinets are not long term sleeping spaces. Most are recommended for babies up to 20 pounds while some should no longer be used once the baby reaches 15 pounds. If you’re hoping to use your bassinet for as long as possible, check the manufacturer’s suggested weight limit. It’s not just about weight though. You should stop using a bassinet once your baby shows signs of being able to hold themselves up or begins to pull themselves up on the sides. It is rare for a baby older than 6 months to still be using a bassinet. You can find bassinets that serve a single purpose (sleeping) or models that feature plenty of bells and whistles. Some bassinets can be manually rocked while others vibrate or play music. Others have light displays or mobiles. There’s no right or wrong answer when it comes to additional features. If a model with features fits into your budget, you don’t have to use them but might find yourself thankful they’re there. Will your bassinet be set up in your bedroom or your baby’s nursery? If so, portability might not be a concerning factor and you can simply focus on making sure you choose one that fits comfortably into your available space. But if you’re looking for a bassinet that can easily move from the bedroom to the living room or even the babysitter’s house, finding a model that easily folds and travels is ideal. Purchasing a bassinet doesn’t have to eat up your entire baby budget. While there are plenty of items to purchase for your new addition, a bassinet that allows baby to sleep comfortably and peacefully is an investment the entire family will appreciate. If you’re looking for a simple model that only provides a baby with a safe sleeping spot, you can find portable options for as little as $30. Models that offer more aesthetic appeal will range between $50 and $100. 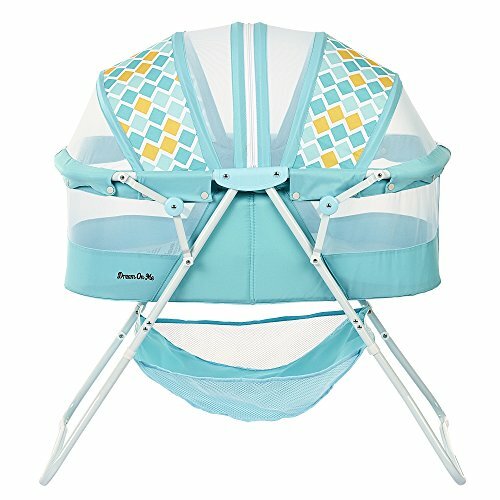 Bassinets that have additional features and are designed for a more permanent setup than portable options will be in the $150-$250 range. When purchasing a bassinet, keep in mind that your baby will only use it temporarily and you will then have to invest in a crib and mattress. As long as your baby is safe and comfortable, they can sleep in a bassinet with any price tag. This is a simple yet versatile bassinet that is equally elegant and functional. The sides are high for safety when baby is sleeping but do come down when needed, making nighttime feedings easier. The bassinet was designed with mothers recovering from C-sections in mind so even when it’s difficult to move around, you’ll be able to reach your baby with ease. 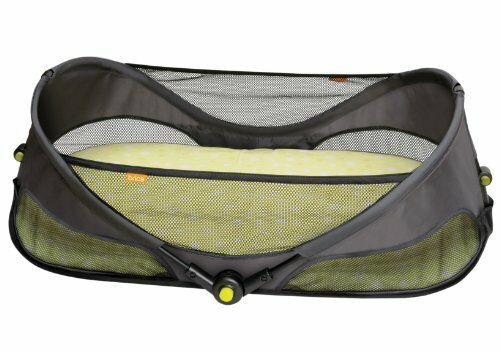 The bassinet also features two storage bins underneath to keep everything you need nearby. Easy to move. This bassinet rests on four wheels that can be locked for safety when not in use. Several user reviews mentioned how easy it is to move, even across carpet. Works for stand-alone or co-sleeping. You can use this bassinet as a stand-alone option or for co-sleeping. Should you decide to use it for co-sleeping, it attaches directly to the bed via a long strap. But the bassinet can also be kept in the corner of a bedroom or simply next to your bed if you want baby close without co-sleeping. Adjustable leg height. The legs on this bassinet are adjustable. Even if you have a high bed, you can keep your baby right next to you. If you move your baby into the living room for naptime, you can lower the legs so that baby is still within arm’s reach if you’re resting on the couch. Fabric vulnerable to stains. The colors of this bassinet are fairly light. While it’s great for matching nearly any room decor, the colors can stain easily. The fabric is easy to clean but can stain over time. Some dissatisfied with mattress. Many reviews expressed concerns over the plastic-like feel of the mattress. Many called it flimsy as well. While some replaced the mattress, please be cautious in doing so. Mattresses need to match up just perfectly with bassinets or cribs in order to provide a safe sleeping environment for your child. The Chico Lulu Roo is a two-tier design bassinet that is designed to keep baby close during those first couple months of continuous feedings and then be lowered when baby starts to sleep for longer stretches. It includes a large canopy that protects baby from sunlight during daytime naps. If you’re tight on space you’ll be happy to know that this bassinet folds up quickly and can be stored in a carrying bag when not in use. Babies are messy so the removable mattress pad and fabric is ideal for quick cleanings. Mesh side panels. 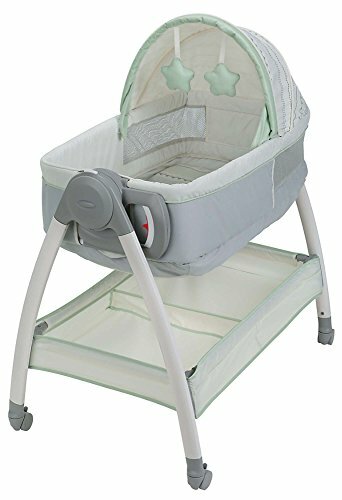 This bassinet features mesh side panels, which several reviewers found calming as they could see their baby throughout the night. They also ensure proper air circulation. Over the shoulder transportation. If you’re on the road a lot, this bassinet comes with a convenient carrying case that lifts over the shoulder. This makes it great for airports, bus stations or trains. It also fits easily in the trunk of a car, making it perfect for weekend trips to Grandma’s. Doubles as entertainment center. Babies don’t always have to be sleeping when in their bassinet. 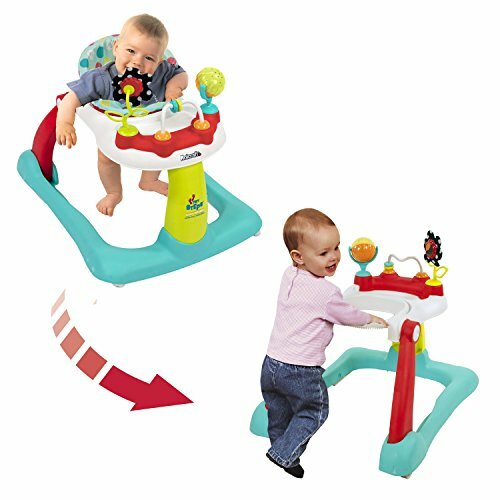 This model comes with removable and suspendable toys that can keep baby entertained during quiet time. Just be sure to remove the toys when baby goes to sleep. Delicate design. Some reviews mentioned concern about the overall strength of this bassinet. If you have concerns about using a bassinet that makes you uneasy, consider using a model that doesn’t fold for travel. Pad doesn’t lay flat. Because this model is designed to fold, the mattress pad tends to have difficultly laying completely flat. While this might not bother all babies, some might find the bassinet uncomfortable. For parents who know they want to transition their baby to a crib sooner than later, the Delta Children Sweet Beginnings Bassinet is ideal because of its size and affodability. It features a steel frame with a polyester fiber pad. The fabric is machine washable. It comes with an adjustable and removable canopy along with a calming nightlight. Easy to move. This bassinet features locking casters that make it easy to move it from room to room, even when baby is sleeping. At just over 10 pounds, recovering moms won’t have an issue moving the bassinet. Affordable. Babies don’t sleep in bassinets for long and the affordable price tag of this unit means you’ll get your money’s worth, even if your baby only spends a couple months sleeping in it. Several reviewers found this reassuring. Additional features. An added bonus, especially for the price, are the calming features. 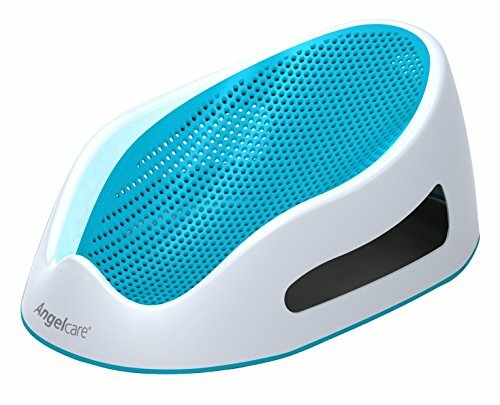 There’s a nightlight that can be used during late night feedings along with soothing music to lull baby back to sleep. There is storage at the bottom to hold diapers, wipes and other necessities. Odd smell. A handful of reviewers complained of a strange smell coming from the mattress pad. Some noted that the odor faded after washing the fabric a few times while others said that it never dissipated. Weak canopy. The canopy is meant to be removed but some found it difficult to keep it in place when needed. It also makes a lot of noise when collapsing it. Most bassinets in this price range are simple in design and have few or no additional features. But the Dream on Me model has plenty to offer, like a storage basket, adjustable canopy, and several color options. You can expect your baby to comfortably and quickly drift off to sleep thanks to the thick yet firm mattress pad. Lightweight and portable. The Dream on Me weighs just over 14 pounds so just about anyone can move the bassinet when needed. It also folds up quickly and can easily be stored beneath a bed or in a closet. Zippered canopy. If you have pets or nosy siblings that you’re worried about, the zippered canopy will assure you that nothing will disturb your sleeping baby. This is also ideal for outdoor use when bugs are a concern. One user loved that she didn't have to worry about her cats disturbing her baby while she slept. Attractive design. 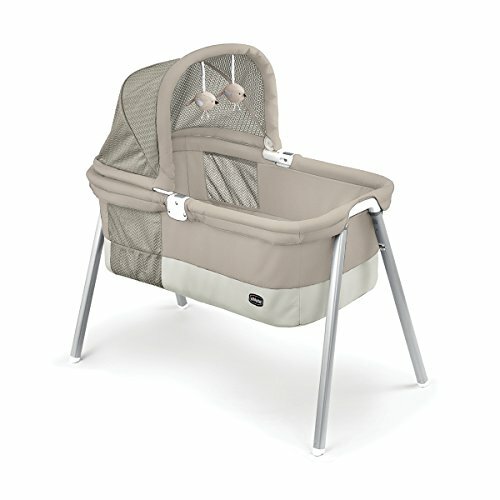 Most bassinets feature neutral colors. If you’re looking for something with a little more personality, there are plenty of fun color combinations to choose from. Awkward to place baby in. The zippered canopy is not removable. Some users had issues placing their baby in the bassinet through the opening in the material. Possible contradictions in marketing. We found several reviews that claimed that once they received their product, it was marked for babies up to 10 pounds, not 25 like stated. However, multiple retailers advertise the product as being safe for larger babies. Just like most products today, bassinets can come equipped with plenty of motorized features that can help you soothe baby to sleep. We’ve considered nightlights, light shows, motorized rocking and comforting music and sounds. It can be difficult to know what your baby will like the most so finding a bassinet with plenty to offer should cover all your future needs. The Graco Dream Suite features two vibration speeds to help soothe babies to sleep and keep them sleeping longer. The top portion of the unit can be flipped over and used as a changing table for quick middle of the night changes and then flipped back and locked into place. There are two vibration speeds to choose from and the mesh sides allow air flow and easy visibility. Longevity. While most bassinets are given away or stored away after the first few months of use, the Graco Dream Suit can still be used as a changing station until baby weighs 30 pounds. This makes it a great investment. Soothes and entertains. The bassinet features two different vibrating functions that can help baby fall asleep faster and stay asleep longer. There are also two attached toys to keep baby occupied until you can pick him up. Easy to move. The four castor wheels make it easy to move this bassinet from room to room. They lock once you have the bassinet in its new location. A handful of reviews mentioned that they are small though and don't work very well on thick or shaggy carpet. Mattress pad not removable. Messes are inevitable with babies and many users expressed their frustrations with the mattress pad of the model. It cannot be removed, making it difficult to quickly remove messes before they stain. Difficult to assemble. While most bassinets require some degree of assembly upon arrival, the Dream Suite requires more than most. If you’re not handy, assembly could end up painstakingly long and frustrating. For such a small bassinet, the Soothing Motion has plenty of upgrades. It gently sways your baby to dreamland and comes with dual-mode lighting. If baby is still a bit fussy, you can try the calming vibrations or turn on the soothing music and sounds. With so many ways to soothe your baby, it’s like having an extra set of hands with you. The bassinet is also small so it’s perfect for fitting at the side of your bed or in smaller spaces. Smart lighting. Choose from the attached nightlight for late feedings or switch on the light projection star show that’s sure to capture baby’s attention. Several reviews mentioned that the light projection unit is removable. Even once your baby has outgrown the bassinet, you can still use it. Sensory development. 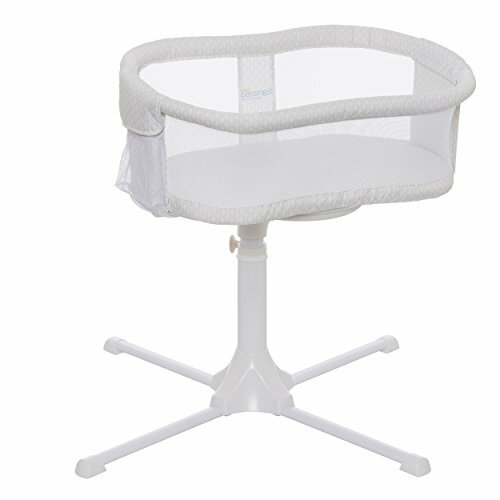 There’s plenty for your baby to feel, hear and see with this bassinet. They’ll love the vibration feature that’s ideal for calming. The attached mobile gives baby plenty of things to visually explore. The soothing music and sounds will give your baby the perfect background noises for drifting off to sleep. Easy to assemble. You can have this bassinet set up within minutes of opening the box. Many user reviews mentioned how easily the frame snaps together. The bassinet was also described as much sturdier than similar models by several users. No lock. Some babies enjoy being rocked to sleep but will wake up if rocked again. Similar bassinets feature locks to prevent the unit from rocking if baby moves or shifts. This model does not include a lock, which can lead to middle of the night disturbances. Low height. For recovering mothers, having to bend over to pick up their baby in the middle of the night can be uncomfortable. This unit does not adjust and is quite low to the ground, which can be inconvenient for both parents. There are several reasons for needing a portable bassinet. Whether you just want to move baby around the house with you while you tackle your to-do list or baby spends equal time at two homes, a portable bassinet can make bedtime easier on everyone. We looked at models that quickly fold up when it’s time to go and quickly set up when it’s time for bed. If you’re looking for a portable yet sturdy bassinet, these are the top models to consider. When it comes to portable bassinets, the Fisher-Price Stow ‘n Go has just about every feature a parent could want. It’s easy to assemble and pack. The legs are completely removable for when the unit is being stored. It includes a travel bag as well. The mattress cover is machine-washable and the unit features calming vibrations that can help soothe even the fussiest babies. Compact design. The Stow ‘N Go is not a large bassinet by any means. It would fit perfectly next to a bed but can also be placed in small spaces in living rooms or kitchens without being in the way. It’s also low to the ground, which is a benefit for parents who are concerned about their older babies finding a way out of their bassinets. Mattress stays flat. Some portable bassinets allow you to fold the mattress. While that makes it easier to carry, it creates uncomfortable ripples in the pad that can keep baby from sleeping. The mattress pad for the Stow ‘n Go does not fold. This could be an inconvenience for some but we found that most users appreciated the more comfortable mattress. Fast assembly. Just because a bassinet is portable doesn’t mean it’s convenient. But the Stow ‘n Go comes apart in just a few seconds and comes together that quickly, too. Even if you don’t travel, having a bassinet that can be ready so quickly can come in handy at home. Doesn’t fit through doors. If you’re hoping to move this bassinet throughout your home without disassembling it, it might not be possible. A handful of reviews mentioned that the legs stick out quite far, making it difficult to fit through doorways. Minimal features. While this model does have a calming vibrations feature, there are no included lights or music. Some reviews said that with these additions, it would have been the perfect bassinet. Bassinets have come a long way over the past few decades. This model takes bassinets back to their roots. It’s simple but does exactly what you need it to do. 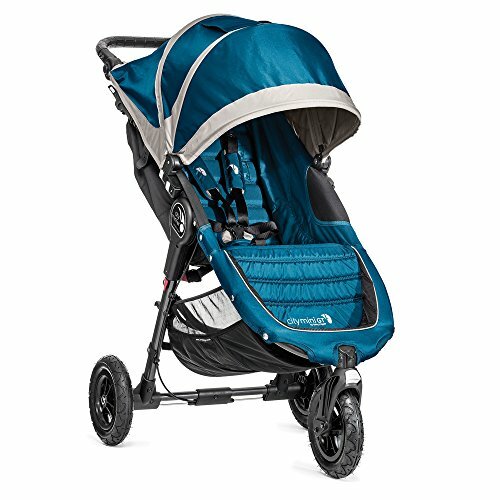 The mesh panels and breathable fabric will keep rolling babies safe while the locking frame assures that the unit won’t begin to fold in on itself. Once nap time is over, simply fold the bassinet and you’re ready to go. At only three pounds, it’s difficult to find a bassinet that’s easier to travel with. Simple setup. When you’re ready to set up this bassinet, simply open it up from the folded position and lock it in place. Double check that the pad and sheet are positioned correctly and you’re good to go. Easy to clean. The mattress is removable, making cleanup simple. The fabric is also stain-resistant. 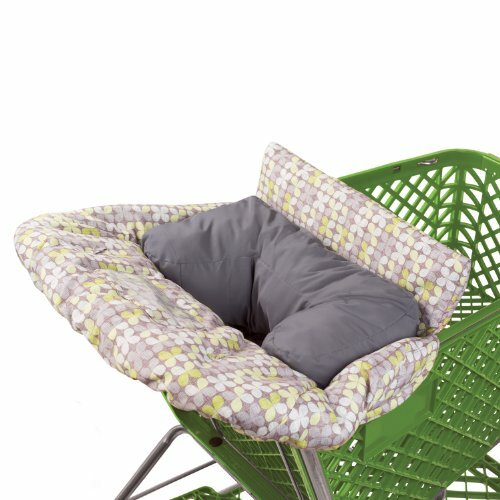 If you plan on using this bassinet outdoors, you don’t have to worry about grass or dirt stains. Even if you’re only using the bassinet indoors, it should be easy to keep the material looking brand new. Safe to move. If you need to move your baby to another room, the bottom of the bassinet is firm enough to not buckle as you do so. Some users had concerns about using a bassinet without legs, but the Fold N’ Go has proven itself to be a safe option, no matter your needs. Small. This bassinet will most likely only accommodate babies three months and younger. It does not have as much space as less portable models. Not all of the sides are made from mesh so a baby that can move on their own should not use this model. Thin pad. It’s difficult to find a thick sleeping pad with a portable mattress. However, this could be one of the thinnest on the market. 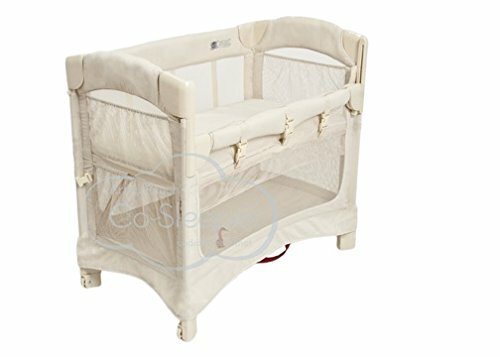 Throughout our research, we noticed several reviews that stated babies could not get comfortable in this bassinet, which is most likely due to the thin pad. Co-sleeping is becoming more popular and for the parents who wish to do so, having the safest setup possible is a must. Bassinets can be configured to either safely attach to a bed or allow easy access throughout the night without having to get out of bed. If you’re considering co-sleeping, consider the safer option of using a co-sleeping bassinet. We’ve narrowed down the competition into the following top choices. Here’s a co-sleeper that baby can grow into. It features plenty of ventilation and allows you to easily see your baby, even if you don’t have the side down. When you do leave the side down, you’ll have a 4-inch sleeping nest to protect your baby. The attachment strap is made for all bed sizes. There are also plenty of storage areas, including side pockets that will keep crucial items nearby. All mesh sides. Babies should never sleep in an environment where their faces could become pressed against solid material. This Arm’s Reach model includes mesh on all four sides. Even if your baby twists and turns, their breathing won’t be affected by poorly placed fabric. Accommodates growing babies. This bassinet can be used by your baby on their first night home but they won’t outgrow it too quickly. 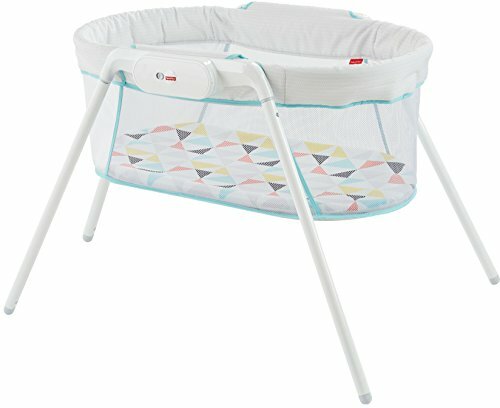 While some bassinets can only be used for the first couple months, several users mentioned that this unit was safe for their baby for months longer than expected. If your baby is not over the weight limit or pulling himself up on the sides, you can continue to safely co-sleep with this bassinet. Affordable. 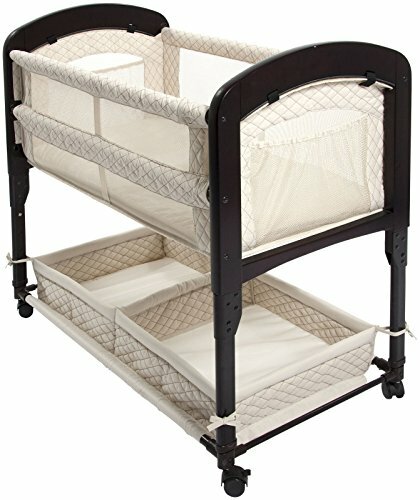 Though far from the cheapest bassinet on the market, this design is incredibly affordable for being a co-sleeping unit. When you consider the extended usage most parents get from it, along with the convenience of having baby right by your side all night, the price seems more than fair. Not adjustable. The legs of this bassinet are not adjustable. If your bed is shorter or taller than normal, the bassinet might not line up correctly. Long assembly. While most users didn’t say the product was overly difficult to assemble, many said it was time consuming. Expect to spend up to a couple hours putting this bassinet together. For nursing mothers and those recovering from C-sections, the Halo is an ideal bassinet that has plenty to offer mother and child. 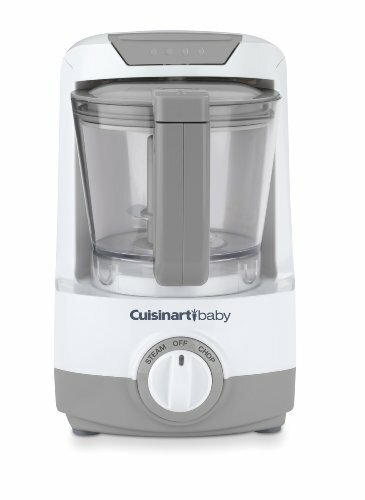 With its mesh sides, baby is always visible and there’s no need to worry about ventilation issues. The basket can be rotated in a complete circle, allowing you to pull your baby closer when needed and safely out of the way when getting in and out of bed. The base tucks underneath the bed so it’s a great option for small spaces and doesn’t create a tripping hazard. Unique spin feature. The Halo bassinet is one of the only models that rotates and we couldn’t find another that rotates a full 360 degrees. If you have limited mobility or know that you will spend more time than most mothers recovering from birth, this bassinet is an ideal solution when having difficulty retrieving your baby. Drop down wall. When baby needs attending to, just drop down the side wall for easy access. Several user reviews mentioned how assuring it was knowing that the side wall locks into place. Simplistic design. The Halo looks like it costs much more than it does. It has a sophisticated design that’s sure to look great in any room. Just keep in mind that it is made with light colors so staining could be an issue. No additional features. There are no additional features included with this bassinet, like storage, vibrations, lighting or music. 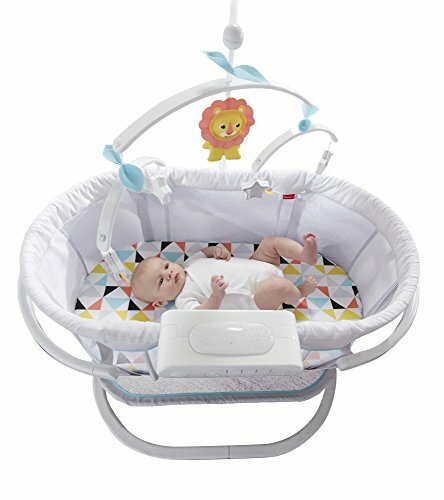 But because this bassinet isn’t designed to be easily transported, these features can be supplied through other devices. Expensive. 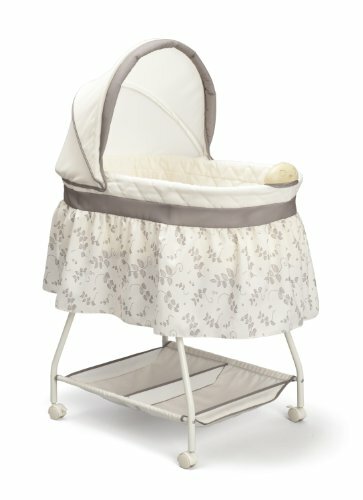 This bassinet is in the top of the price range for similar products. Considering there are no additional features, it would be wise to consider what the most important factors in a bassinet are to you before spending so much.